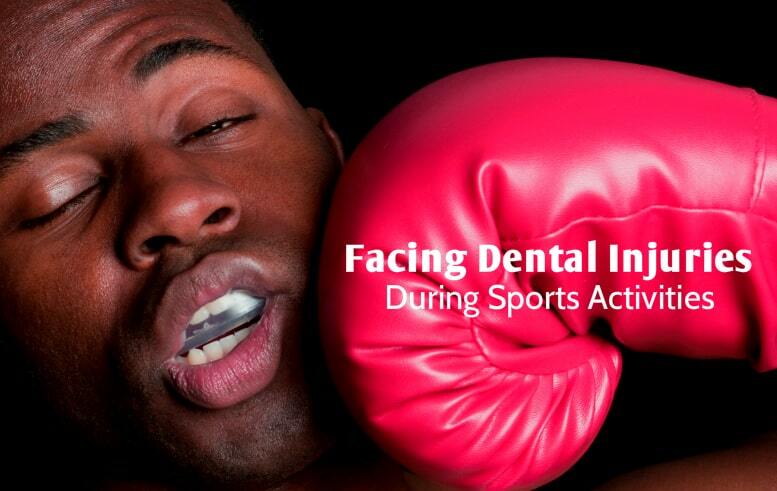 When you play sports or if you are an athlete, facing dental injuries becomes common in your everyday life. It is sometimes inevitable but they can definitely be treated with proper care and safety. Dental trauma is the result of accidents or sports activity and if treated on time can promote faster healing and sometimes saving the tooth. A resident of London can easily get instant emergency aid in the situation from the numerous dental clinics located in and around London. But it is important to know about the dental injuries and their symptoms you may likely suffer from so you can better handle the situation. A sudden blow to the mouth can crack your teeth and may lead to a condition of severe pain and trauma. You can dave yourself the pain from a toothache due to cracked tooth if you adapt a habit of wearing mouth guards during sports. A teeth injury might not seem serious initially but may cause serious issues in the long run. Toothache at random intervals, or persist pain. Discomfort and pain when you eat, drink hot or cold food stuffs. Pain on biting down or applied pressure. Exposed dentin due to the lost section of outer enamel in the accident or injury. It may also extend to an exposed pulp and even root surface at times. It is also found that you may not experience any pain and the cracked tooth is noticed only when you go for your next dental examination. A vertical fracture at the center of the teeth does not usually cause lost enamel or exposed dentin. Tooth injuries are not just confined to your enamel or crown, a wrong blow can damage the root. As fractures are not always visible, you might come across the situation when it develops into an infection. The seriousness of the dental injury depends on the area of the root fracture. It is important that you receive an endodontic treatment as early as possible to prevent pulp infection. Prolonged delay might lead to necrosis, meaning tooth loss. This is one of the most common sports injuries but you can get the knocked out tooth restored if treated on time. The chances of intrusion is more in primary teeth as a young ones alveolar bones are not strengthened as that of an adult, to hold the tooth firmly in the socket. You can know more about this in a dental trauma guide. Shortening of roots, that is seen in almost 70% of permanent teeth are damaged this way. Combining of the infected tooth root and alveolar bone, termed Ankylosos. Dental injuries cannot always be ignored and they require a quick treatment from a qualified dental practitioner. You should get to your nearest dentist within time. However, before that, make sure you know about local emergency dentist in London who can help you with instant dental aid.